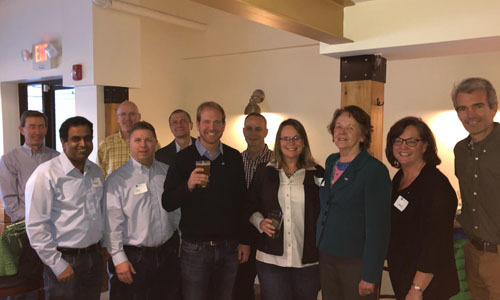 SIM Boston Members got together last Thursday night for another Tribe Meeting in Concord, MA. Plan to join us at our upcoming tribes on April 16 in Cambridge and April 23 in Waltham, hosted by SIM Women. As these events clearly grow in popularity, we will continue to host them throughout the metro area. If you would like to host one at your place of business or a gathering place nearby, please contact membership chairs Craig Holbrook and Dan Diachenko at membership-chairs@simboston.org to help with scheduling.